Neutrons are generally classified according to their kinetic energies and interactions. 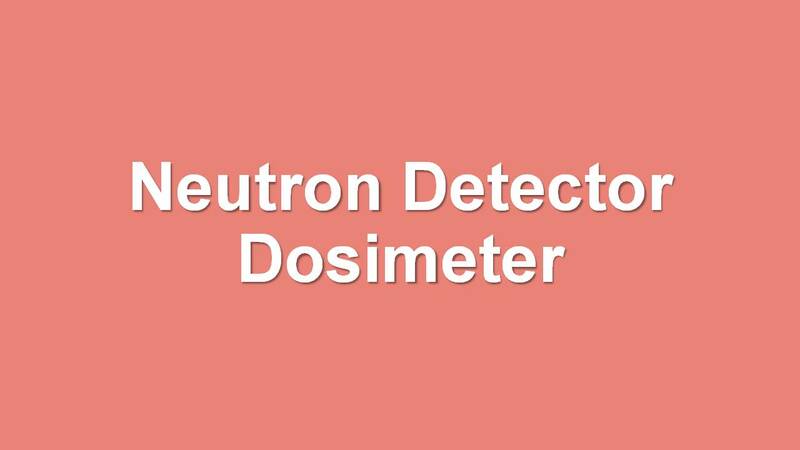 Neutron dosimeter is made up of a Thermoluminescent Dosimeter (TLD) or Optically Stimulated Luminescence (OSL) dosimeter and Poly Allyl Diglycol Carbonate dosimeter (PADC) to measure potential occupational doses from thermal, epithermal and fast neutrons. 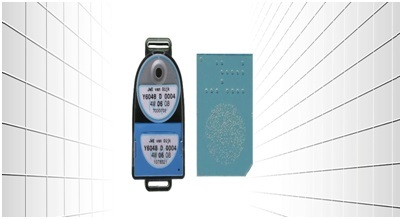 The PADC dosimeter has a film of poly-allyl diglycol carbonate which guarantees an accurate measurement of the Hp(10) the personal dose equivalent to a depth of 10 mm , and Hp(0.07), the personal dose equivalent to a depth of 0.07 mm in soft tissue caused by neutrons, giving good approximation of the skin dose. Thermal neutrons are detected from the difference between two readings found with two identical detectors one of which is shielded by cadmium. The intermediate neutrons are estimated based on a neutron fluence spectrum which is assumed to be proportional to 1/E the range of 0.4eV to 200Ev, where E is the energy of the neutrons. Fast neutrons are associated with high intensity fields such as those in main beams near reactors and accelerators, hence fast neutrons detectors are used for monitoring radiation leaking through heavy shields enclosing reactor cores, accelerator targets and reprocessing plants, making the application in personnel monitoring limited to high exposures. 5.Kernforschungszentrum Karlsruhe GmbH, Federal Republic Of Germany ;1985. Pg 88.